Lego and other compatible building sets will always be popular with children. They're just so entertaining in the way they capture the imagination with the endless building possibilities and ideas. Every parent knows how much children love getting post, it's a joy that sadly diminishes with age and the onset of many bills, but in a child, it's still a moment of pure excitement, when they realise a letter or parcel is for them. 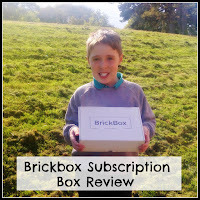 So, when we were asked to review a Brickbox box, all the way from the Netherlands, I was very keen to see how excited L would be to receive post that turned out to be Lego. Life doesn't get much better than that when you are 11! Needless to say, he was absolutely thrilled with it. The boxes are themed each month and you can't see what you are going to get until it arrives, although it is possible to check out the Brickbox website for previous boxes, which gives an idea of what to expect from your delivery. 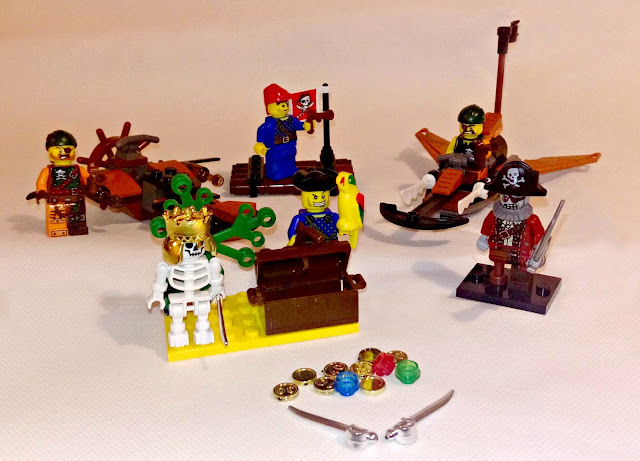 This month (May) the theme was Pirates and a very happy L received: A Lego Ninjago Skybound Plane (30 pieces), The Lego Ninjago Anchor-Jet (38 pieces), a Zombie Pirate Lego mini-figure and two further carribean pirate sets which weren't actually Lego, but you couldn't tell. The smaller sets were a bit tricky to build, as there weren't any instructions or pictures, but a quick email to the company and they sent out pictures of what they should look like, which was all that was really needed, we had no problems after that and they looked great when they were finished. The best part about the theme is that you end up with a lot of play value, as they can all interact with each other. It's easy to set up scenarios, or even make little videos if that's your child's thing. It's L's thing, although he hasn't had a chance to do any for this set, because SATs got in the way! As you can see, the finished sets display really well and would look great in any Lego lover's collection. L especially liked the treasure and the parrot! 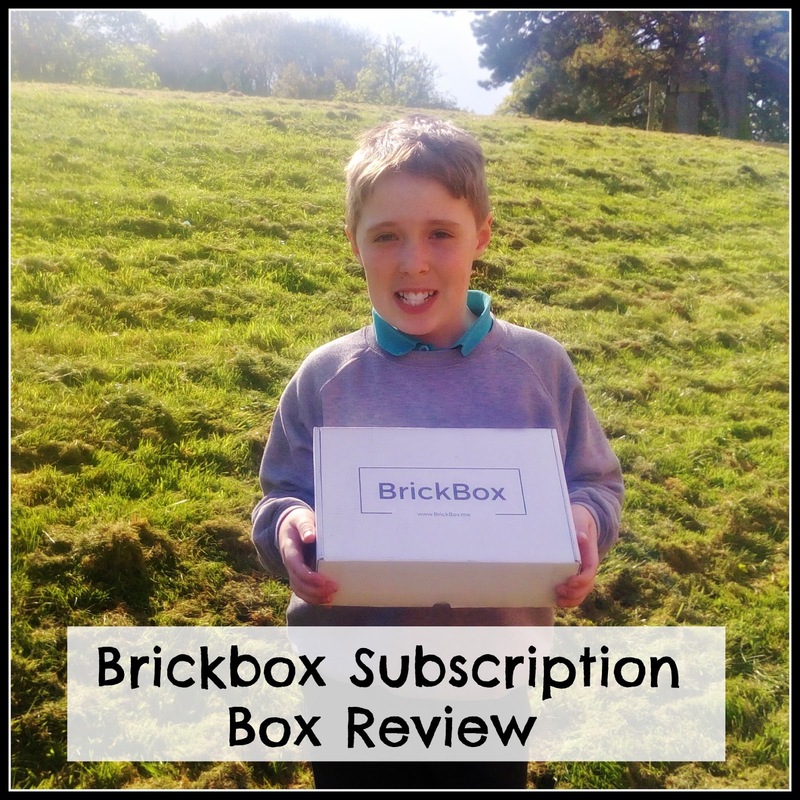 The Brickbox is a subscription service, but you can cancel anytime, so you could order one for a birthday, for instance and cancel straight away. 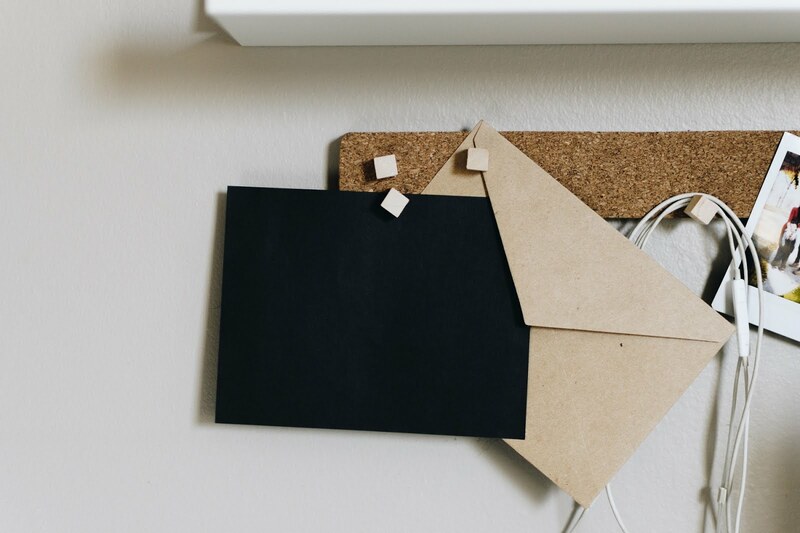 I do think it would be nice to be able to order a one off box, without signing up for a sub, as I would worry about forgetting, but as you can cancel using your personal dashboard on the website, it's very quick and easy, so there is less chance of forgetting. There are various subscription options, depending on budget. So it isn't cheap, particularly with the additional delivery charge. Lego always seems pretty expensive to me, for what it is, but this is always going to be a more expensive way to buy it. 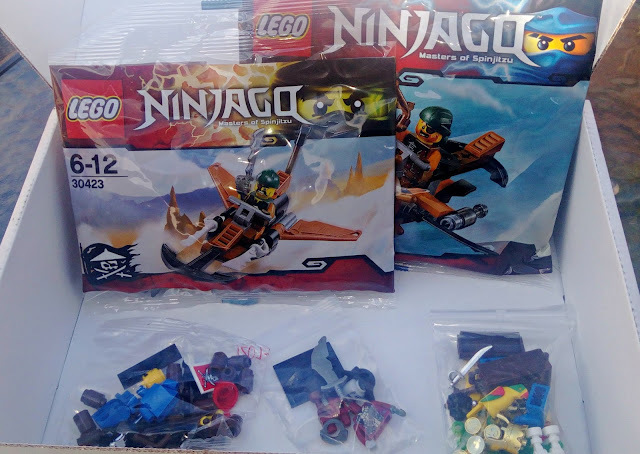 Having said that, you are getting more than just Lego, you are getting; excitement, the joy of post, and a surprise to look forward to, so there are those additional factors to consider. It's really tricky to assess the value of the sets, because I can't find anywhere that sells them separately. However, when you put them altogether they do make a rather lovely larger set, as you can see from the picture. Although they would not really suit our budget, they would make a lovely treat, or a gift, particularly for a long distance relative. The main advantage being that you can be pretty confident that this is going to be something most children would love. I've never met a child yet who isn't fond of Lego, so it's the perfect gift for when you just don't know what they are into at the moment. They are sure to be pleased with it and it will last for years, as well as being equally suitable for boys or girls. It really takes all the effort out of gift-buying! Wish I'd known about these before, what a great idea for my nephews' birthdays! You are right, life couldn't get any better for an 11year old to receive this through the post! I must admit I'm not a fan of LEGO-type products - I'd rather just buy the real thing!